Looking for deals in Geneva? Nash Pratik Hotel features accommodations in Cointrin. With a terrace, the 3-star hotel has air-conditioned rooms with free WiFi. The property provides a 24-hour front desk. Right beside the airport with a free shuttle bus, room was elegant with a comfy bed, nice bathroom, nice art on the walls and staff were friendly. Plus you can’t beat the continental breakfast! Ibis Styles Geneve Mont Blanc is located in Geneva, 2953 feet from Jet d'Eau and 2953 feet from St. Pierre Cathedral. Guests can enjoy the on-site restaurant. Location is great - next to the train station and five minutes walk from the lake - it's not by the 'main drag' of the high street, but is nice and quiet if you prefer to walk 5 minutes and be away from crowds. Super close to the train station, but without the noise, and beds were great and rooms were clean with brand new bathrooms. Designed by the renowned interior architect Pierre-Yves Rochon, the elegant Four Seasons Hotel Geneva is set in a historic building from 1834, directly at the shores of Lake Geneva. As any other Four Seasons hotel everything is just perfect while in Hotel des Bergues the stuff will go the extra mile to ensure that your stay is amazing they are very helpful and doing thier best to fulfill your requests.we were with our baby and they even had bottle heater and a small gift for the baby Thank you Four Seasons. Completely renovated in 2017, the historic and prestigious The Ritz-Carlton Hotel de la Paix, Geneva is located in the heart of the city, on the shore of Lake Geneva. Loved everything about the property. Will be my only stay in Geneva from now on. Ibis Genève Centre Nations is in the center of Geneva, just half a mile from Cornavin Train Station. Comfort, efficiency and good value especially for weekend trips to Geneve. The Ibis Genève Centre Gare is located in the heart of the city, 220 yards from the train station and 3 miles from the airport. The location is excellent. Only 10 mins walk to closest train station and city centre. The Ibis Geneve Aeroport hotel is located in Cointrin, 10 minutes drive from the center of Geneva, close to the international airport (free shuttle) and the Palexpo exhibition center. Clean, updated, nice bed. 9 minutes easy walk to terminal. The Hotel de Geneve is only 3 minutes' walk away from the train station and 5 minutes from the city center and the banks of Lake Geneva. Helpful and nice Stuff, Very big room and Clean, Good Location and Breakfast. Overlooking Place Cornavin and Chantepoulet Square, the ibis Styles Geneva Gare is centrally located across the Main Train Station of Geneva and the Cathedrale Notre Dame. Superb location 1 block from train station, close to many restaurants. Comfortable room. Entirely renovated in 2015, the Hotel Rotary Geneva - MGallery Collection can be found in the center of the city, only a 5-minute walk from the Cornavin Train Station and a 3-minute walk from Lake... Luxurious and comfortable. The staff are top notch. Set on the shores of Lake Geneva, Le Richemond is a prestigious 5-star hotel in a prime position offering views of the emblematic Jet d'Eau and Mont Blanc. Nice location, friendly staff and very good restaurant. Enjoy the atmosphere of a private home in the heart of Geneva, in this haven of discreet luxury, a few steps from the lake and close to the shopping and business area. The room was very clean the pillows and the bed were very comfy. The hotel was quite and pleasant. Newly opened in 2014, Chez Maman is a modern boutique hotel in Geneva, 1.9 mi from Cornavin Train Station and Lake Geneva. The bar and restaurant are very nice. Live music, great food and cocktails. 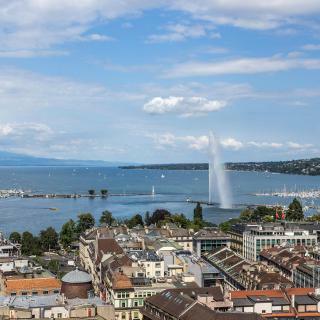 On the shore of Lake Geneva, a 15 minute drive from the airport and 547 yards from the train station, The Ambassador is in the center of Geneva. Free Wi-Fi is available. big and comfortable room, clean, cozy. Great staff. Which hotels in Geneva offer an especially good breakfast? For hotels in Geneva that serve highly-rated breakfasts, try Hotel d'Angleterre, Les Armures, and Hotel d'Allèves. How much does it cost to stay in a hotel in Geneva? On average, 3-star hotels in Geneva cost $155 per night, and 4-star hotels in Geneva are $176 per night. If you're looking for something really special, a 5-star hotel in Geneva can be found for $466 per night, on average (based on Booking.com prices). Which hotels are the best ones to stay at in Geneva? Hotel d'Angleterre, Four Seasons Hotel des Bergues Geneva, and The Ritz-Carlton Hotel de la Paix, Geneva are some of the popular hotels in Geneva. Which hotels in Geneva have nice views? The Ritz-Carlton Hotel de la Paix, Geneva, Hotel d'Angleterre, and The Ambassador got great room view-related reviews from travelers in Geneva. Which hotels in Geneva are good for families? Many families visiting Geneva loved staying at Hotel d'Angleterre, Hotel d'Allèves, and Hotel Beau Rivage Geneva. Which neighborhood is the best one to stay at in Geneva? Downtown, Plainpalais, and Eaux-Vives are popular with other travelers visiting Geneva. What are the best hotels in Geneva near Geneva Town Hall? Some of the best hotels in Geneva near Geneva Town Hall include Fraser Suites Geneva - Serviced Apartments, Les Armures and Hôtel de la Cigogne. How much is a hotel in Geneva for tonight? On average, it costs $174 per night to book a 3-star hotel in Geneva for tonight. You'll pay around $220 if you choose to stay in a 4-star hotel tonight, while a 5-star hotel in Geneva will cost around $488, on average (based on Booking.com prices). Which hotels in Geneva are good for couples? These hotels in Geneva are highly rated by couples: Four Seasons Hotel des Bergues Geneva, Hotel d'Angleterre, and The Ritz-Carlton Hotel de la Paix, Geneva. What are the best hotels in Geneva near Cointrin Airport? 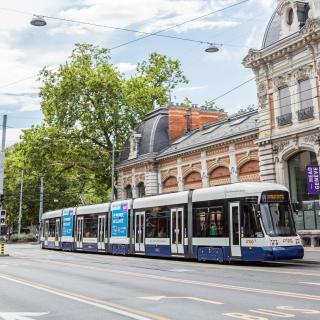 Travelers who stayed in Geneva near Cointrin Airport (GVA) have said good things about ibis Genève Aéroport, Nash Airport Hotel, and Crowne Plaza Geneva. How much is a hotel in Geneva for this weekend? The average price per night for a 3-star hotel in Geneva this weekend is $302 or, for a 4-star hotel, $351. Looking for something even fancier? 5-star hotels in Geneva for this weekend cost around $890 per night, on average (based on Booking.com prices). 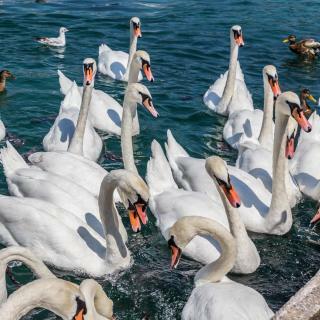 Known for its international diplomacy, Geneva is the gateway city to the Swiss Alps and contains many international organisations that lend the lake-side city a cosmopolitan flair. It is filled with the best in cuisine, diverse languages and people, and top 5-star hotels. It's easy to fly in to Geneva Airport, and like the rest of Switzerland, the public transport system is incredibly efficient. And the antique shops and steep, cobbled streets of the Old Town can be explored by foot or bicycle. Many of the sights are monumental buildings such as the St Pierre Cathedral, but you can escape the chilly winters inside museums and galleries displaying everything from the Renaissance to the Contemporary. Even if getting out into the wilderness of the Swiss Alps isn’t an option, there’s plenty of nature accessible within the city limits. Parc des Bastions offers tree-lined walks and a game of giant chess and Parc de la Grange is a green space situated on the Lake Geneva promenade. Jet d'Eau, a 450 foot high fountain in the center of Lake Geneva is beautifully lit at night. With over 90 hotels available, Booking.com ensures that whether you are travelling for business or pleasure you can experience the best accommodations Geneva has to offer. I went to Geneva on a business trip but the city offers you all you need for a great stay. Good restaurants and moving around is very easy. I suggest you download the TPG application to know all about the public transportation which works just fine in Geneva. 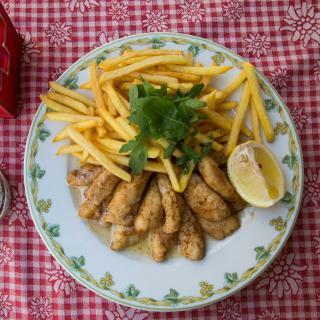 A visit to the Café de Paris near the Cornavin railway station is a must. 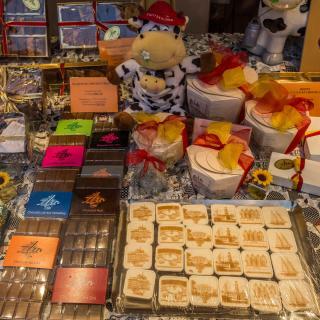 If you visit Geneva during cold weather, you might want to have a fondue - Geneva has many places thar offer a good fondue. Not much things to do with kids. Not much things to do with kids. Mostly sightseeing and enjoying the beautiful weather . I recommend not having a car . Everything is a walking distance from the hotel including shopping and restaurants. 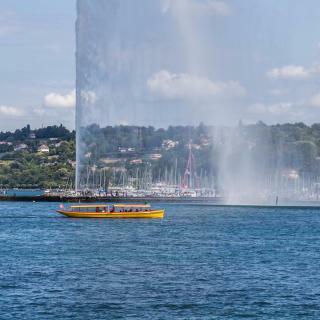 Geneva is a beautiful city with so much to see and do: the United Nations, International Red Cross Museum, WHO, MSF (doctor’s without borders), Sphere, world class shopping, and many interesting churches and historic landmarks. Jet l’eau is a magnificent spectacle with the Alps in the distance. It was an easy, direct, 3 hour train ride from Paris. Upon arrival, the city is very walkable and has great public transportation (free transport card with hotel). A highlight for my 15 yr old son was being able to assemble his own, unique, personalized Victorinox Swiss Army knife. Be sure to call ahead for a reservation! A town with no identity. A town with no identity. It’s a haven for many refugees - so with that - you get many different styles of food. The Paquis area is kinda sketchy. We had no issues but felt uncomfortable after 9pm. If you’re going to stay here - stay near “old town” and make sure you don’t feel like doing anything on sundays and Monday’s as most businesses are closed. Not the Switzerland experience I was anticipating. The smog is annoying. And the French quarter may be unable to want to help Americans. Go to wine country, go to the mountains, or go to Anecy. Nothing in between and certainly not Geneva. A beautiful, relaxing city; easy train journeys to other parts of the country, regular tram services. Much to see: the River Rhône, Saint-Pierre Cathedral, Reformation Wall and, of course, scenic beauty. Lots of places to shop, antique bookshops and art. A clean, well-kept and orderly city. Very inspiring. Quiet and bustling at the same time. Quiet and bustling at the same time. Swissily clean, calvinistically sober, bustling with life and people on the lake and in the gardens. Lovely melting pot, so many languages spoken at the same time. Very easy to navigate, the free transport card with the hotel stay is an excellent idea. Almost everything is very expensive, though. The beds were very comfortable. The pillows were soft but you had 2 extra in the wardrobe. Situated in a beautiful area which is quiet but no problem as tram is just 2 mins away and takes you into the centre in about 15 mins. Geneva is a beautiful city. Everything is so organised. Staff very friendly and helpful. Very clean. Didn't realise Switzerland is very expensive and everything is double the price. A Starbuck's coffee cost €8.50 Swiss francs. I really enjoyed my stay at this hotel. Highly recommended. This is one of the best value for money hotel I stayed in Geneva. Nothing extraordinary compared to international standards but Geneva being an absolute rip off unless you can afford the high end places, the Pax offers affordable style. Set in a 19th century building with wooden floors it has been decorated with taste and attention to details, which gives it a boutique hotel feeling. Again, a rare occurrence in a city where most hotels compete for ugliness. I stayed one night on my way to Montreux from Montreal. I was early, yet they kindly let me check in. The staff was exceptionally helpful in helping me find nearby places where I could eat (being vegan in Switzerland is not easy!) and in making my short stay memorable. The rom was small but very clean and comfortable. Overall, a great affordable choice of hotels. All the things, accommodation, staff. Its the best 3 star hotel in Geneva. Excellent staff especially reception. Its near the station Cornavin its near to boulevard and its near to all. Its the center of Geneva. Last time i stayed at Excelsior Hotel but it was awful. But this hotel the best. Thank Hotel staff for all. The staff were so friendly, we got an upgraded suite and check in- check out was so fast. People at reception are very attentive and offer support and assistance. The suite wears so nice, big with beautiful veranda. Location was amazing, near everything you need to go. I recommend the hotel to visitors of Geneva. The Location is perfect, the stuff are amazing, and hospitality is outstanding, the room Survice and house keeping is waaaay better than any 5 stars hotel I have ever been to... I’m definitely going to book it again and I highly recommend this fantastic apartments to anyone going to Geneva. Very central, nicely decorated hotel, in great central location. The staff and the level of service are excellent, people at the reception are very helpful, comprehensive and friendly. For me it is the best price quality ratio in Geneva for a 4 star hotel in city center! Classy Thirties place with a great view provided you're high up enough to see it (ninth floor is best). Excellent history includes being Professor Calculus' favourite Geneva hotel in Tintin's "The Calculus Affair". The hostel has a great location that I could walk around to see everything in Geneva - even public transport is free. The hostel is surrounded with 5 star hotels. So it is an opportunity to find a cheap accommodation. Friendly cooperative staff, very clean hotel, very good breakfast. Kitchen & Fridge were very beneficial, good location. I recommend this hotel for every traveller to Geneva. The hotel in a strategic place in front of Geneva fountain, the whole staff are friendly, rooms size is wide, the service is prestigious .. brunch is fabulous. Best hotel in Geneva so far. Renovated. Great breakfast. Nice personnel. Good bed. Fair price (for Switzerland!). Close to airport. Amongst the best hotel in Geneva. Highly recommended.